Whether it is just a fad or a trend that is here to stay, juicing is extremely popular among health conscious individuals. As more and more people experience the amazing results associated with this healthy lifestyle choice, its popularity is expected to grow. Without question, juicing can be incorporated into your daily life to increase your overall health and vitality. By increasing your daily intake of healthy fruits and vegetables, you’ll be giving your body the essential building blocks it needs. To get the most benefit out of juicing, you’ll want to educate yourself on some of the basics before you get started. You’ll find a wealth of information on these topics in the pages that follow. If you are new to juicing, you may find the process to be a bit of a hassle. However, once you start to see and experience the many benefits associated with juicing, you may wonder how you ever got along without it. So commit to testing out your new lifestyle for at least several weeks before deciding if it is for you or not. Important Tip: Making your own fresh juice drinks is better than buying ready-made juice products as they have to be treated and processed to extend shelf life. Therefore, homemade juices are fresher, plus you have more control over what you are putting into your body. When making your own homemade juices, however, it is important to consume the juice product as soon as it is ready. Exposure to air degrades the nutrients in your juice, so the sooner you drink it, the better. It should also be noted that although fresh fruit juices are delicious and refreshing, be aware that many fruits are naturally high in sugar which can lead to unwanted weight gain and other unintended health issues. A better alternative is to combine complementary fruits and vegetables together to create healthy and delicious concoctions. Combining vegetable-based juices with a healthy balanced diet will help you achieve the results you desire. There are tons of recipes available online to help you make delicious and creative juicing concoctions your whole family will love. When creating a collection of juice recipes you want to try, look for combinations that include both fruits and vegetables for the greatest health benefits. Be aware that most juicing recipes include parts of the fruits and vegetables you would normally discard. With juicing, you’ll often be advised to include leafy plant tops, rinds, skins, seeds and other parts that normally end up in the trash or compost pile. This is a real shame, because these items are often full of the essential nutrients your body needs. When you start juicing, you will want to invest in a juicer powerful enough to handle the types of fruits and vegetables you plan to use. This doesn’t mean you have to break the bank or make a huge financial commitment to test out your new lifestyle. There are a number of really good entry-level centrifugal juicers on the market for around $50 or $60. These models don’t offer all the bells and whistles of higher end units, but they are certainly worthy of your consideration. Regardless of what kind of juicer you choose, consider it an investment in your long-term health. Making your own juices at home is infinitely better for you than picking up processed juices in your local grocery store. Those processed juices usually require some heating process to extend their shelf life, which can kill off valuable enzymes and nutrients. 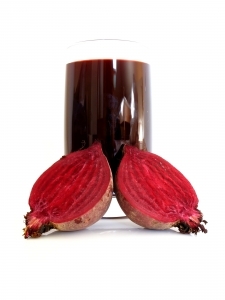 By making your own juice at home, you can keep the integrity of juice blends intact. A Healthy Garden in my Glass! Veggie Drinks with My New Juicer! Cold-Pressed Juice: Is it Worth the Hype? 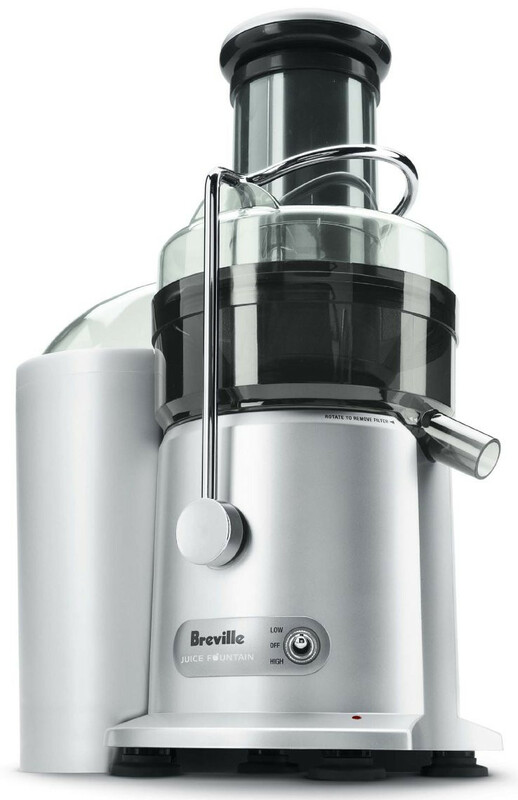 This entry was posted in Reviews - Kitchen Utensils - Cooking - Food and tagged Benefits of Juicing, Breville, fresh fruit juices, Fruit, Fruits and Vegetables, Health, healthy lifestyle, Juice, Juicer, Juicing, juicing recipes, Nutrient, Vegetable. Bookmark the permalink. There are many fruits that I cannot eat because of sugar content. I have noticed though, that some fruits like bananas eaten almost green do not cause me any problems. Vegetables are better than fruit. I love V-8 type juices. Bananas become more sugary with ripening. That’s why black bananas make great Banana Bread. V8 juice is good. But remember it has been processed and then re-fortified with vitamins and minerals. For that reason it is better to juice your own produce. Thanks Jackie for your comment and for stopping by. Have a great evening. Hey thanks Roger. When you juice your own produce it tastes so much better. I am fine. Just got back from the movies – The Jersey Boys. Thanks for your thoughts on the article Honey. I am glad you found out what your health problem is and can now take action in the right direction do you can feel better. Just one thought on the matter. Most of us lack minerals in our body’s. They have a big role in digestion. The B vitamins as well. Magnesium is the top mineral that we lack. I had IBS, which is a digestive problem. Docs told me I had to suffer with it and there was no solution. But there was and is. I studied nutrition and with that know I have been as to help myself. As long as I take my Trace Minerals and a multi-B vitamin, I can control the IBS. I can eat the things that would normally erupt into digestive problems for me. I also had never problems in my left leg, but taking a special type oh B1, B6,and B12, I also have no more pain in that leg. I also have taken canola out of my diet. It is an omega 6 oil, and to much omega 6 causes inflammation. Inflammation is also a cause of many digestive problems. Look at rambling on. Anyhow, I hope all works out well for you Honey. Thanks again for stopping by and leaving your thoughts.